Kelsey Glen is a newer community offering new construction homes in Simpsonville. 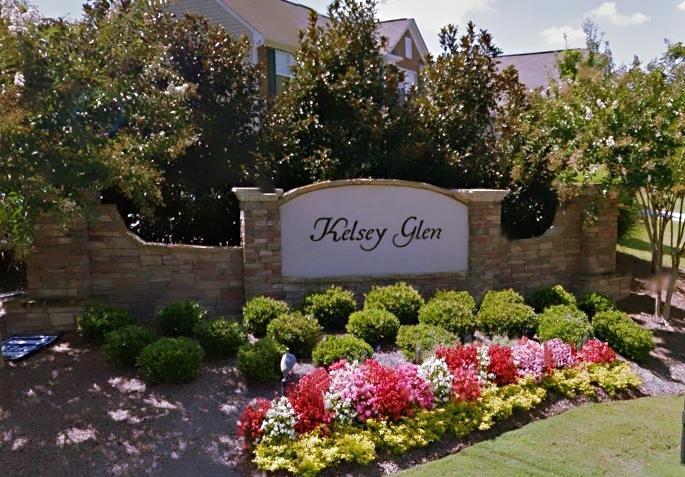 Kelsey Glen real estate is situated off of Lee Vaughn Road, just 1.5 miles off Woodruff Road, close to great shopping and restaurants. The 47 acres community is developed by Ryan Homes and boasts great location with beautiful mountain views. Kelsey Glen real estate offers customized homes with several floor plans to choose from. Homes in Kelsey Glen are are offered with 10-yr structural warranty and features traditional style homes with 3-5 bedrooms and home sizes ranging from 1744 to 3060 sq.ft. Enjoy the community amenities including a beautiful swimming pool, cabana, playground area for children, volleyball area, and sidewalks. Find new home construction and new homes for sale at Kelsey Glen. Home prices start at $190’s up to mid $200’s. The neighborhood has easy access to Five Forks and downtown Simpsonville which offers array of shops and restaurants, residents enjoy convenience shopping, dining, and outdoor opportunities. What’s going on nearby Kelsey Glen Real Estate? Downtown Simpsonville is about 4 miles away from Kelsey Glen subdivision. That’s few minutes drive from the city amenities and recreation. There is also plenty of shopping and dining options on Woodruff Road which is less than 5 miles away. There are plenty of activities and events happening all year-round not only in Simpsonville, but also in downtown Greenville. What schools are assigned to Kelsey Glen? If you buy a home for sale in Kelsey Glen Subdivision in Simpsonville SC, the local schools serving this community are Rudolph Gordon Elementary School, Hillcrest Middle School, and Hillcrest High School. To get more information and other subdivisions and real estate assigned to these schools, please follow the link. Looking for a home in Kelsey Glen? If you are interested in the current homes for sale in Kelsey Glen Subdivision in Simpsonville SC, below you will find the latest homes available in this community. Our ‘for sale’ property information is a direct feed from the GGAR MLS and is updated multiple times per day. Click on the listing to get more information or you can call us if you have any questions. If you are thinking of selling your home in Kelsey Glen. Contact us at 864-881-1352. We, at the J Michael Manley Team, can help you every step of the way. We have a team of experienced listing specialists who have helped many Simpsonville SC home sellers sell their homes for top dollar. Find out what your home in Kelsey Glen in Simpsonville, SC is worth. For more information about the Simpsonville – Kelsey Glen Real Estate, please contact the J Michael Manley Team at 864-881-1258. Sign up at our website to get the latest homes for sale in Simpsonville. Are you looking for something similar to Kelsey Glen real estate? Check out other communities in Simpsonville Real Estate.